Frac Sand Market: What to expect for future? In the recent decade, the frac/ silica sand market have experienced tremendous growth and is also expected to grow at 10.29% CAGR in 2016 to 2020.The North American shale oil and gas production has grown since 2010 and it is further bringing many opportunities that were absent in the silica sand industry. The Frac Sand Market in North America two years ago, was twenty times larger than it was a decade earlier, as per a Chemicals market report. However, at the end of 2014, consumption began to decrease as the oil and gas prices began to decline all over the world. Therefore now, instead of planning to explore new business expansions, the suppliers have inactivated the production and mining operations. The stock price of the American largest Frac sand manufacturer plummeted from USD 16.98 at the time of its Initial Public Offering in 2014 to a low amount of USD 1.23 in January of 2016. Primarily, the drillers are using more frac sand per well, due to which the volume of demand continues to grow. Packing surplus sand into the existing and new wells allows the shale gas manufacturers to extract the additional resources at the minimal extra expenditure. This strategy is more likely to be used in the future as well. Secondly, due to its higher crush strength and comparatively low dust discharge, the resin coated sand is gaining traction in the market share. 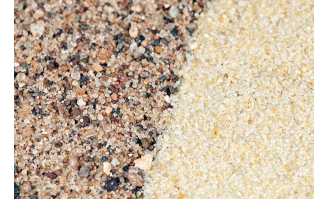 The resin sand is also sold at a higher price, which will in turn help the sand producers’ profit margins and contradict the lower amount of sales. Finally, the OSHA silica exposure rule will take effect in the coming year. Therefore, this could be an opportunity for manufacturers from different industry verticals to try resin coated sand as a low dust alternative to the uncoated sated. As per Market Research Reports, even though the boom period is over, the ‘bust’ time is also through in the frac sand industry. The market is estimated to improve in the long term basis as the drilling picks up. As per the Chemicals Market Report, the suppliers that have classified their consumer base into steadier market, for e.g. producing products, chemicals and flat glass will be at an advantage of recovery based on their financial position. Moreover, there are various opportunities for frac sand manufacturers outside of North America. One such opportunity lays in Argentina, which is at the cusp of their Shale boom. This could provide an additional outlet for suppliers. Posted in Chemicals and tagged Frac Sand Market, Market Research Reports.